Pepsi's equity was growing, but not growing fast enough. The category was facing various headwinds. It's biggest competitor was accelerating investment across marketing, design and content. And the marketing landscape had radically changed. The strategy: Get the world to fall back in love with the brand, and with cola. Launched an evergreen manifesto campaign based on the trademark that deepened the brand's POV and provided a north star for other comms. An idea-centric stream of news across tentpole events, digital content and partnerships from class to mass. Six of the world’s greatest footballers. Six of the hottest street artists. A campaign like no other. An iconic photographer and street artists from around the world came together to create large scales works of art with Pepsi’s footballers at the center. The art came to life across content, fashion and outdoor. Extended the art to fashion to launch a 60 piece collection in 750 stores around the world. With more than $510k in revenue, retailers re-stocking, 4 American Design Awards and numerous global press accolades such as Vogue attributing fashion cred to the collection, the capsule was a huge success. The art was also leveraged for packaging, instore, and out-of-home in iconic locations, including one of the largest outdoor billboards in the world in Dubai. Created a first of its kind interactive film that brought Pepsi's entire World Cup campaign together. Viewers could ultimately unlock ten minutes of content which featured the different elements of the campaign – from the “making of” art films to the BTS of the TV spot and the collection. The film broke engagement records on Youtube and the TV spot, derived from the film, beat out Coke and Nike's World Cup spots. Collaboration with Jeremy Scott: Enabled consumers to see the world through PepsiMoji-colored glasses via a fashion collaboration with designer Jeremy Scott. 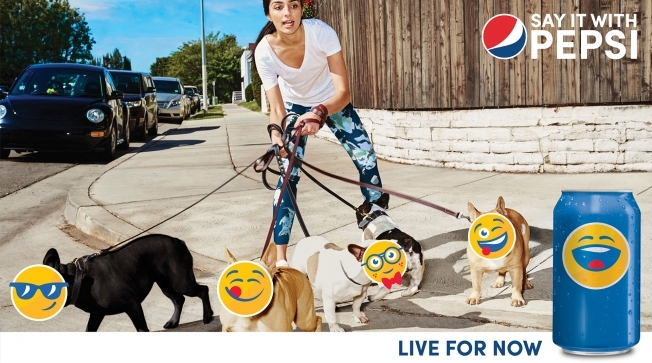 Street Photography: Recruited photographer Ben Watts and Instagram influencer Daniel Arnold to capture Pepsimojis as interlopers in the real world, providing a wry commentary on emoji culture that was launched in outdoor and social. A cola that was made, not manufactured. Creating the kind of thing consumers wanted to be seen with and would pay more for, Caleb’s will soon expand to Australia, Korea, Japan, Mexico, Canada and beyond. 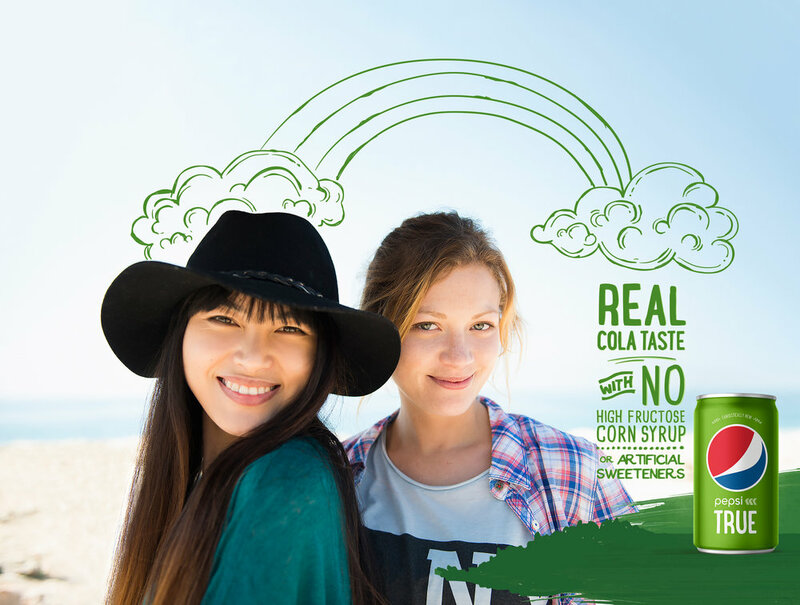 To retain Gen X consumers that liked cola but wanted more natural beverages, created Pepsi True, a new brand that made cola fun and carefree again. 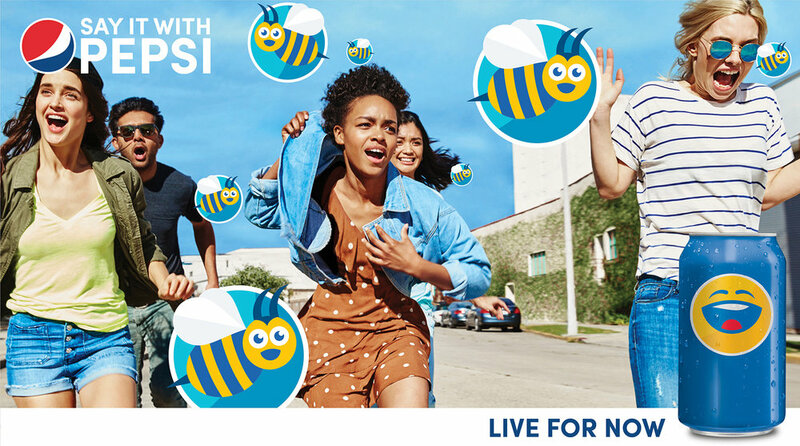 The new brand claimed a spot on the top 5 selling North American beverage SKUs and comprised 38% of PepsiCo CSD sales on Amazon during launch.